Arabian, Middle-Eastern restaurant, Naser is located in Bucharest downtown, close to Universitate Square. This is the second restaurant opened by the owner (first Naser is situated in Domenii area in northern Bucharest). Falafel, Hummus, Ayran and more! Locals in Bucharest have reviewd Naser Oriental in Bucharest. 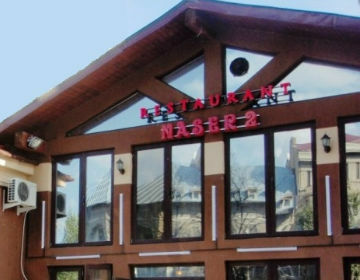 You can find here description, reviews, address, map, phone, website of Naser Oriental in Bucharest. Visit Bucharest Tips for more Oriental restaurants in Bucharest!